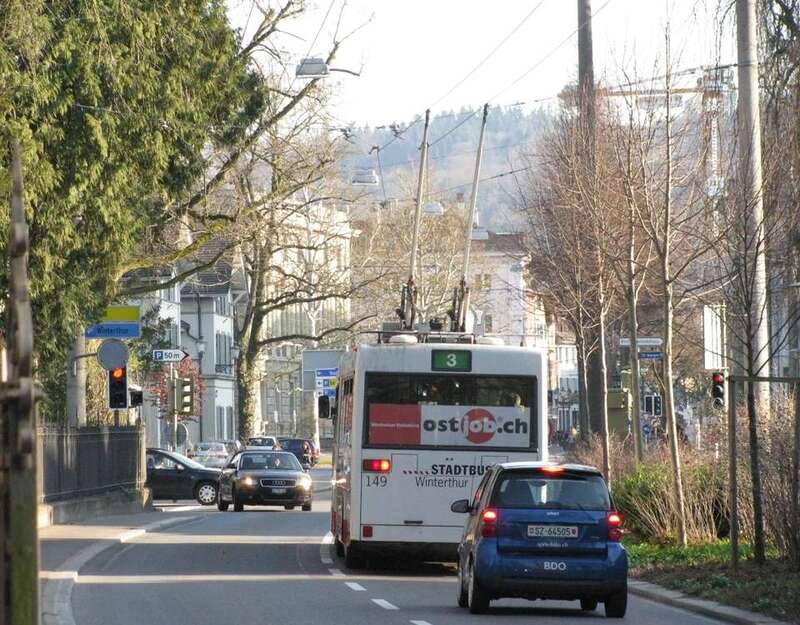 According to bahnhofplatz.net, the last of the 21 Hess Swisstrolley3s for Winterthur was delivered on Friday. 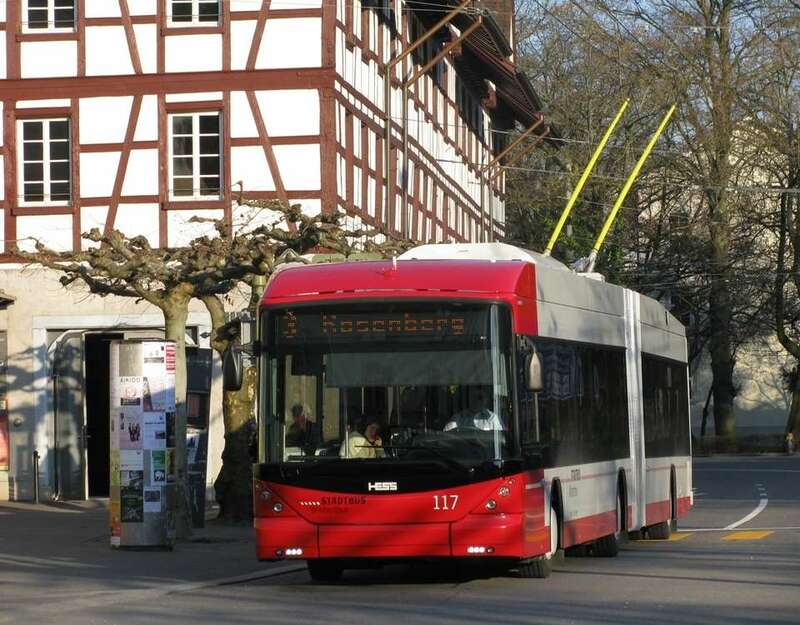 120 is already in service. The active Mercedes/ABB GTZ fleet has now dwindled to two units: 147 and 149. 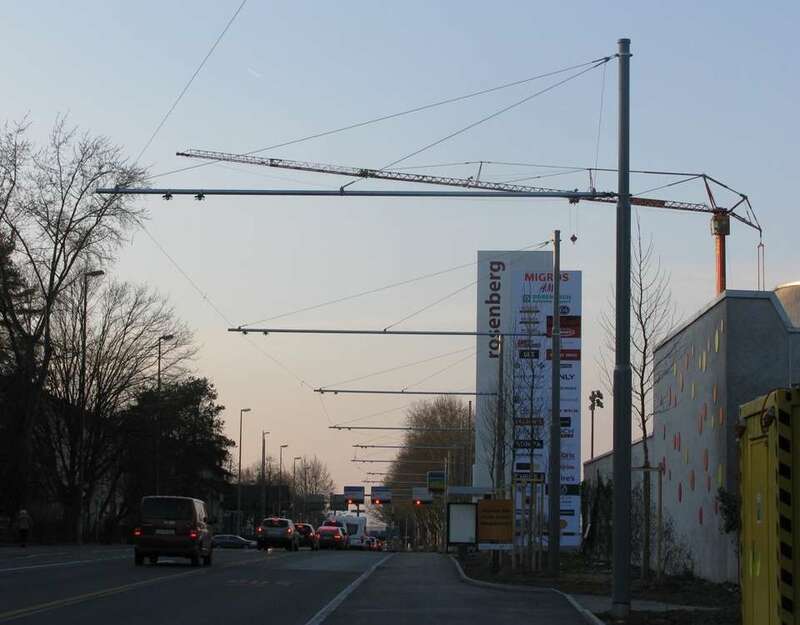 On 7th April a new shopping centre will open in Rosenberg. As this is some distance from the present Rosenberg stop, route 3 is being extended by a short loop on that date. 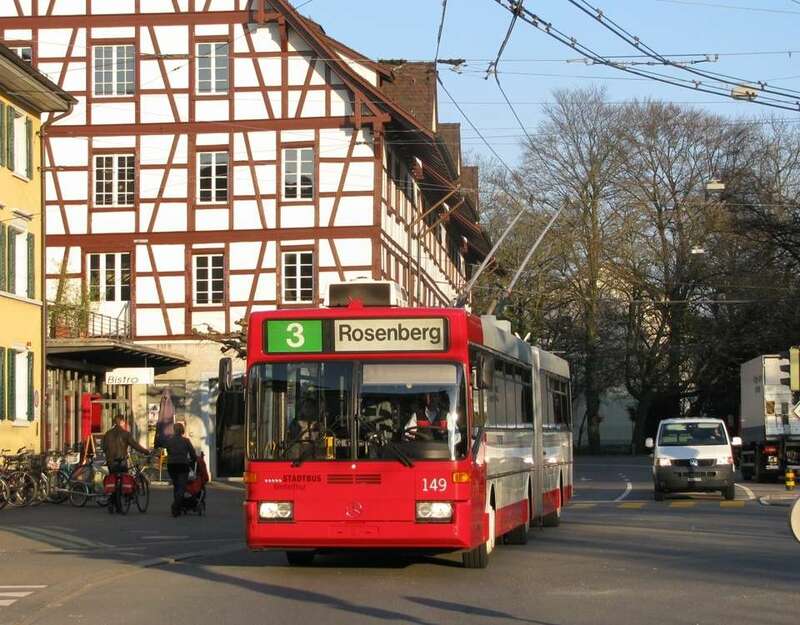 The present Rosenberg stop will then become Schachtenstrasse. The new wires are still being strung. I payed a short visit to Winterthur this evening and have uploaded some pictures.